Firstly an adoption is the biggest gift of life you can offer. It gives a new life in stability and love which is forever. Also fostering – if you prefer to be a bridge for the Galgos until they reach their forevers. Financial help is amazing, it gives us respite in our concerns which are daily, outstanding vet bills which soar, help to buy good food, this is primary for the first thing which enters into a Galgo should be good food. We have many economic pressures in the rescue of Galgos, many come in wounded, injured and need help. Economic help allows us to continue paying for their care and attention. Without kind help, we can no longer continue. Publicity – if you work in public relations, this gives us the chance to promote the work which we do and share the plight of the Galgos with many, many who still are unaware of this abusive and distressing problem in Spain. Interviews such as radio, television and newspaper articles are great opportunities for the Galgos. Word of mouth – this is powerful for it’s here that if you tell many a person all about the plight and just how gentle a Galgo is, it invites change. While you may be unable to adopt, someone you are telling may! Sewing coats – Galgos feel the cold. If you sew then we would love to hear from you. We are a voluntary organisation and rely entirely on donations and money raised from various fundraising projects. We need your financial help to continue to rescue, care for and find homes for the Galgos. We do not receive any funding from the Government or local authority and all the help we receive is voluntary. help us by donating only €1 euro a month! Teaming is a way to help us fundraise for the Galgos, by donating just 1 euro a month! An affordable amount which will help us care for the Galgos! This enables us to buy food, pay vet’s bills and care for the Galgos as they need. My deepest thanks for joining Teaming! 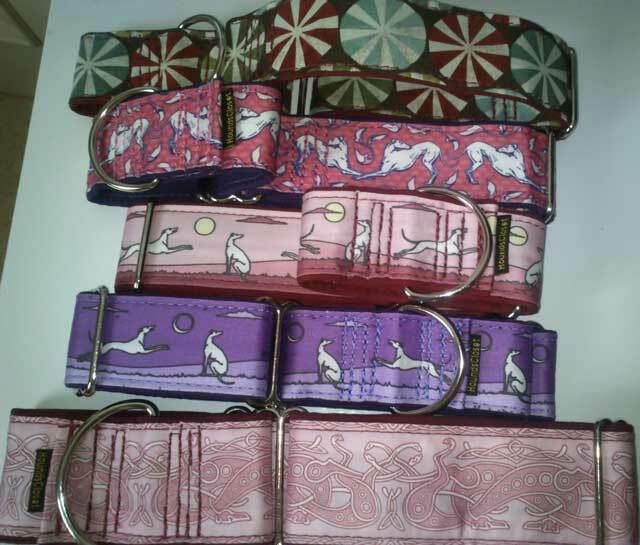 We have various anti-escape (Martingale) collars for sale at a price of 15€ (as above). We highly recommend that Galgos are walked in these collars only because of the simple fact they don’t allow the collar to come over the dogs head if they pull back. 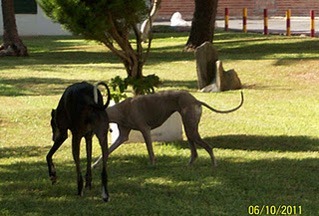 Galgos have a finer head than a normal dog so a normal collar is not suitable and risks their escape. On particularly scared Galgos, we advise 2 collars and 2 leads. We have held several fundraising events, one of which is the annual Fiesta de Galgos. We created the Fiesta de Galgos as a way of promoting and celebrating the breed as pets. The next Fiesta de Galgos date is to be confirmed. Market days are fun and a great way to raise funds, if you would like to help us we would love to hear from you. If you have any ideas, or would like to fundraise for 112 Carlota Galgos, please email info@112carlotagalgos.com Your help would be greatly appreciated to raise much needed funds. 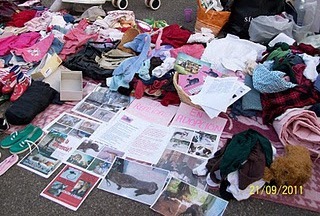 If you can collect blankets, bowls, beds, kennels, please write to us we would love to hear from you. Fundraisers, we would be very grateful for help in this area also. Any fresh ideas, we are always grateful for.